Winnipeg is welcoming a new business to the city, and it’s a game-changer. Ubisoft, one of the world’s largest and best video game developers, announced they will be opening a Winnipeg studio. This new office will be part of Ubisoft’s global team of over 13,000 team members, working on some the most popular video game franchises in the market today. Once it is fully established, Ubisoft has committed to building a team of 100 people in its Winnipeg studio, along with an investment of $35 million over the next five years. EDW has been involved in Ubisoft’s Winnipeg expansion from the beginning, through the hard work of its YES! Winnipeg business development team, and dedication to attracting world-class businesses to our city. As Ubisoft prepares to establish itself in Winnipeg, there are many benefits that the city stands to gain from this exciting announcement. Access to better education and training opportunities in the multi-billion dollar video game industry, while simultaneously attracting some of the world’s best talent to work here, will have a positive impact on the city’s economic growth over the long term. Having a company like Ubisoft establish itself in Winnipeg is a vote of confidence for the province’s interactive digital media industry. Ubisoft has an international reputation for their work – as a function of that, people from all over the world want to work for them. With the backing and support of this global brand, some of the best video game developer jobs in the world will be available in our own backyard. The local talent ecosystem in the interactive digital media space is already well-established in Winnipeg, but historically some of our highly skilled post-secondary graduates and workforce have left the city to pursue opportunities in other markets that haven’t existed here. Recognizing this opportunity, Ubisoft will be building the local talent ecosystem collaboratively, without cannibalizing already-established local companies. This strategy will include enticing experienced developers who grew up in Winnipeg but left to chase their career dreams elsewhere, as well as working with universities, colleges, and secondary schools to develop more world-class developer talent. In growing local access to talent, the entire digital industry in Winnipeg will benefit in the long term. By creating more local demand for high-end developer jobs, universities and colleges have greater assurance they can graduate students into positions where they can work on world-class projects. A level of training sophistication for senior developers will be available here – something that doesn’t exist in many other markets worldwide. Typically, Winnipeggers wanting to work on AAA-level blockbuster video games would have to leave Manitoba. Now they can work at a world-class studio in their own backyard. Opportunities to attract leading international companies like Ubisoft to Winnipeg don’t come around every day. It’s a strong message to other international companies that the city is a great place to do business, and that they should consider investing here as well. With Ubisoft’s arrival, Winnipeg has cracked into the gaming industry in a bigger way than it ever has before. The expected economic impact of Ubisoft will be significant. Other than the highly skilled positions it will create in a high-demand industry sector, the company will have an impact on what the future of our city’s downtown will look like, our post-secondary institutions and career mentorship opportunities, and more. As a global leader in a high-end sector, Ubisoft is taking the interactive digital media industry to another level. Every Winnipeg company stands to benefit from this opportunity. Part of Winnipeg’s advantage is the strong collaborative nature of its business community. Ubisoft has been impressed with the warm welcome they’ve received. This is something unique to Winnipeg, and is noticeably different from the business culture of other cities. This has been noticed and praised by Ubisoft, and should be something we can collectively be proud of. As the company gets settled in, Ubisoft will become part of Winnipeg’s established community of developers and industry experts. Whether through increased mentorship and industry involvement, or by sharing their expertise, they will help to raise the profile of both the local video game industry and business community as a whole. 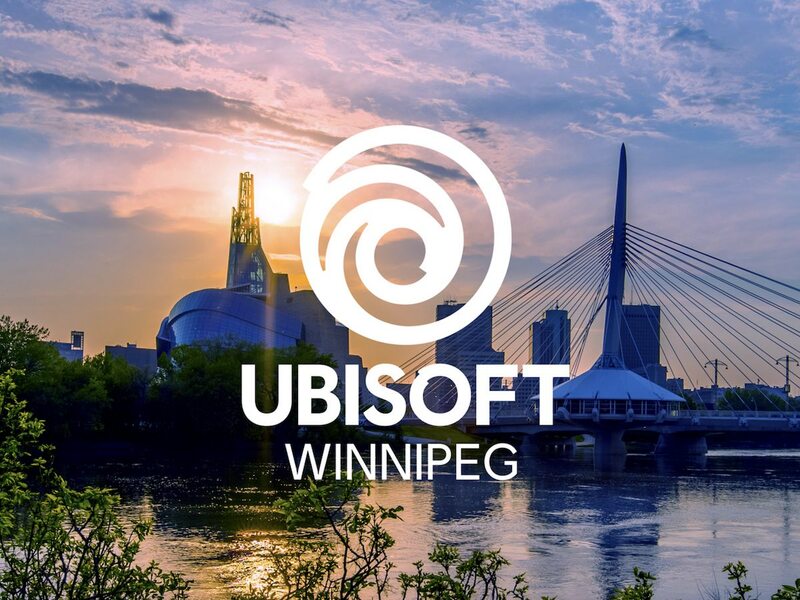 Having Ubisoft place a vote of confidence in Winnipeg speaks to the world-class talent we have in the industry, and creates opportunities that wouldn’t otherwise exist for career growth. This is a win for both Ubisoft and for the interactive digital media industry as a whole – it demonstrates that Winnipeg is on the map and we’re open for business. This company could have chosen any number of centres for this expansion from around the world, but they chose Winnipeg. As Ubisoft learned about our city’s innovative leadership, world-class education system, and strong business community they felt comfortable that this was a market in which they could see long-term success for their brand. From Winnipeg’s perspective, welcoming a global leader of this calibre is a further demonstration of how our city can compete with the world’s best companies. Welcome to Winnipeg, Ubisoft. We’re so excited to have you.